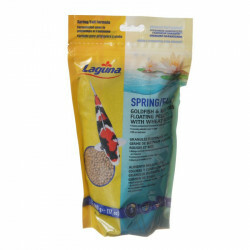 Welcome to the Spring & Fall Formula Pond Fish Food superstore! 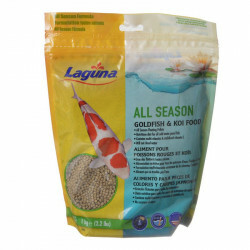 At petmountain.com, our selection of specially formulated spring and autumn koi foods are loaded with necessary and beneficial ingredients designed to stabilize and support your fishes' metabolism, even in cooler climates. These specialized foods are formulated to be easily digestible with extremely little waste production. Our color-enhancing formulas will bring out the vibrant, beautiful colors of your fish in preparation for summertime, when your pond should always look its best! 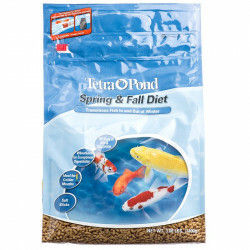 Pet Mountain's Spring & Fall Formula Pond Fish Food store features top quality products from the most trusted names in specialized pond fish foods, including Tetra Pond, PondCare, and Hikari. Our low price leader, Tetra Pond Koi Vibrance Premium Nutrition Food with Color Enhancers, is a highly nutritional diet that brings out vibrant reds and yellows on Koi and ornamental goldfish. Feed in spring, summer and fall, when water temperatures are 50¡F and above. 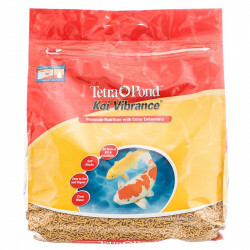 Tetra Koi Vibrance is a premium Koi food with color enhancer for all sizes of Koi & Goldfish. Koi Vibrance floating soft sticks are easy to eat and digest and keep your water clear! 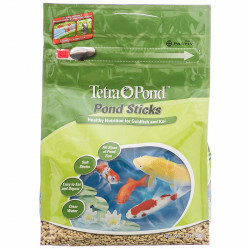 If you're looking for a great deal, our Tetra Pond Sticks Fish Food provide healthy nutrition for Goldfish and Koi and are among our most popular pond foods. These soft sticks for all sizes of pond fish are easy to eat and digest and keep your water clear! Tetra Pond Sticks provide nutrition for energy, longevity, and overall health. Floating food sticks are lightweight and highly digestible, which helps keep the water clean and clear. It also means these Tetra Pond Food Sticks float longer, so you can enjoy watching fish feed on the water's surface. 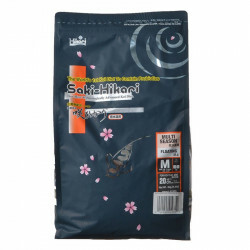 Our discount PondCare Spring & Autumn Premium Pellet Koi and Goldfish Food is specially formulated for feeding Koi and Goldfish in cooler water conditions. Because the metabolism of fish slows down in colder water, the digestion of protein becomes difficult and turns to waste, polluting the water unnecessarily. PondCare Spring & Autumn Premium Pellet Koi and Goldfish Food keeps water clean and clear with a high carbohydrate formula that provides pond fish with the perfect diet for cooler temperatures.